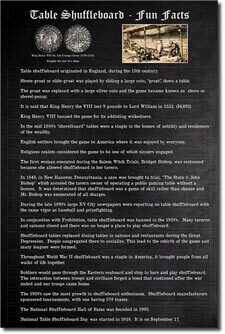 Table Shuffleboard Fun Facts and History of the Game Poster - Framed in either Chalkboard Look or Table Shuffleboard Look! Dress up your game area with this poster! 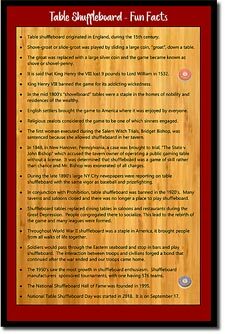 Fun facts on how the game started back in the 15th century to the rise of table shuffleboard after World War II. Perfect in your game room and bar next to your table. Website Price $34.99 with FREE SHIPPING! 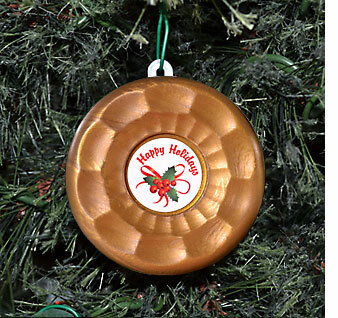 This beautiful ornament will add a smile during the holiday season! 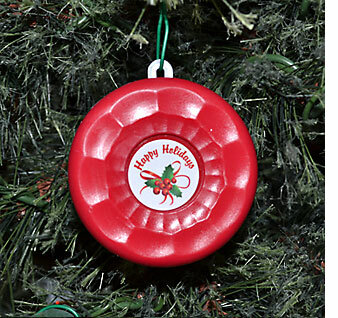 The ornament is shaped like a shuffleboard puck. It is 2 inches round and has a molded opening for your Christmas hook. Available in 21 different colors! Ships to your doorstep in 5 business days. 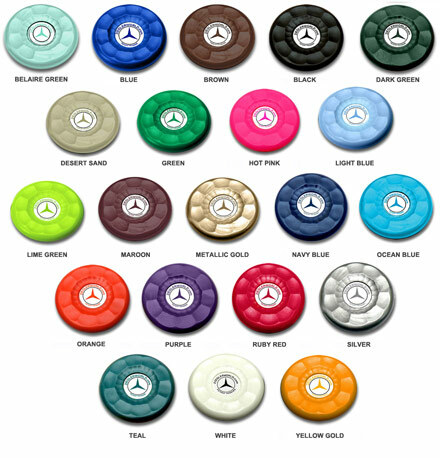 Check puck chart below for sample ornament colors. 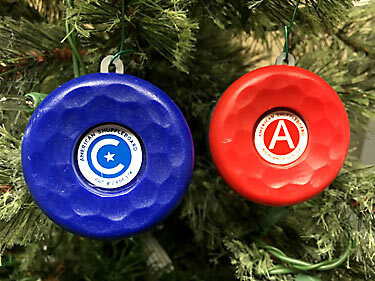 Get the Holiday Ornament like the American Shuffleboard Pucks!